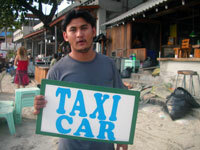 You are here: Home > General News > Koh Phangan Island Ministry of Transportation increases taxi fares by 40 percent! 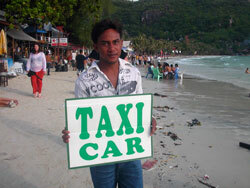 Koh Phangan Island Ministry of Transportation increases taxi fares by 40 percent! Shortly after the recent price elevation of internet service charges by Phangan Hadrin Committee, also the Ministry of Transportation has public announced a taxi fee increase of another 40%. Koh Phangan’s Ministry of Transportation, locally also known as the taxi mafia, has decided to raise local taxi fares from main town Thongsala to Hadrin beach, the host of the monthly Full Moon Party event, by an average of 40%. Therefore taxi fares will raise from formerly 50 Baht per person to a very affordable and very reasonable 70 Baht per person only. Koh Phangan Ministry of Transportation officials announced that this step had to be taken to prevent further damage to the local economic infrastructure. 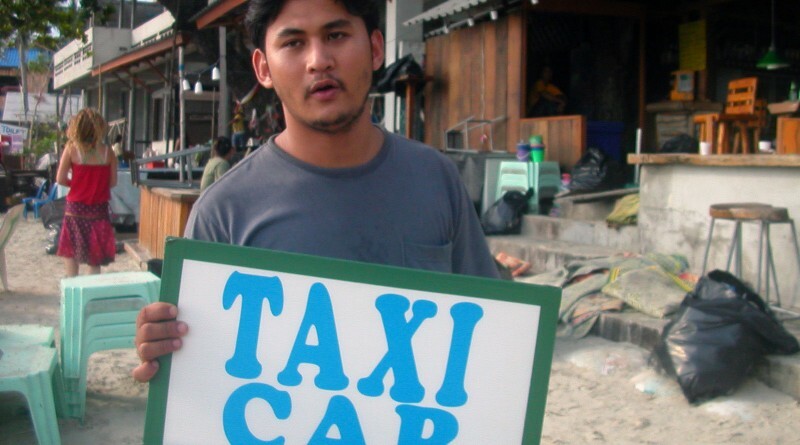 Due to the recent devastating low numbers of tourists travelling to the Full Moon Party Island in the south of Thailand local taxi driver unions experienced a massive and shocking drop in their daily income. “The situation here is more than critical!” another taxi union member stated. “We used to make so much and so easy money over the last recent years. But due to the current oil and petrol prices and the low numbers of tourists we are left we no other choice than to increase the taxi fares to 70 Baht per person. I hope tourists will understand this and support us in any way they can. We must strongly work together to overcome this global crisis.”, he further added. Koh Phangan Island’s economists are still very skeptic about the steps taken by Hadrin Committee and the local Taxi driver unions in preventing further damage to the sensitive and fragile tourism industry. 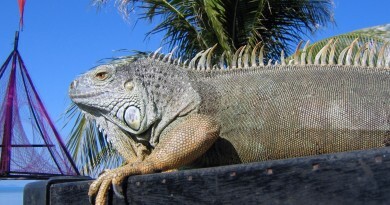 The island’s top leading economists have issued a very serious warning today, that local service providers should not abuse and exploit the tourists coming to this wonderful island. ← Haad Rin Beach Committee on Koh Phangan Island increases internet prices by 150%! 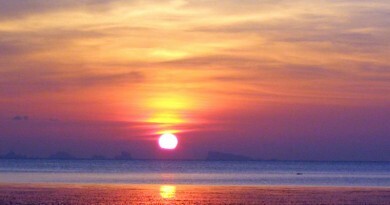 Bye, Bye Koh Phangan Paradise – Thanks for everything & best of luck! Koh Phangan Paradise – A brief report on the current island situation! Because the gasoline increase. So that the taxi fare should be up also. That story almost broke my heart, those poor taxi drivers! Those taxi must pay the gasoline. Do you want to use water instead of gasoline? well .. gasoline went up from around 30 baht to 33 baht. that’s about 10%. so why the increase of 40%? Because they think the Farangs are all rich. The truth is the Tsunami Bubble has burst. After the Tsunami people wanted to go to a beautiful friendly place where there toursim money was helping to rebuild the country. 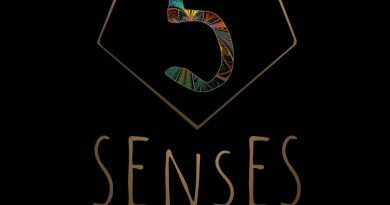 Now when people go to Thailand they are no longer greeted by friendly faces wanting you to have a good holiday, they are greeted by smiling faces calculating how much money they can get out of you. The attidude of Thai’s to us Ferrangs has killed Thailand as a prime tourist destination, the world is a big place and there are infinitely more welcoming places to go on holiday now.